This ticket grants you general access only to the citadel of Machu Picchu, with entrance times from 6am to 2pm (06h00 - 14h00). However, the maximum time you will be allowed in Machu Picchu is 4 hours. For example, if you arrive at 11:30am, you will be allowed to be in Machu Picchu for 4 hours once you enter. You MUST be acompanied by an official Machu Picchu guide the entire time of your visit. Please make sure you hire Machu Picchu a guide ahead of time. Your Machu Picchu ticket must be printed on paper. 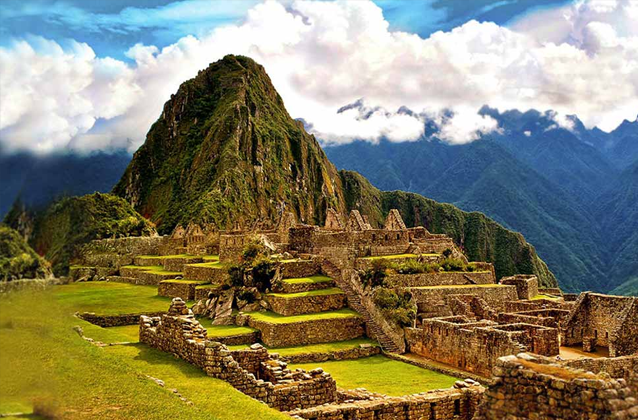 Showing your Machu Picchu ticket from a cell phone or mobile device will not be accepted. You must also provide your original passport. The name on your passport and your Machu Picchu ticket must match. All Machu Picchu tickets are non-transferrable and non-refundable. All Machu Picchu tickets are valid only for 1 day, only for the date and times indicated on the ticket. You can NOT re-enter Machu Picchu once you exit, so please make sure you are prepared to remain inside the entire time. There are no bathrooms or food allowed inside Machu Picchu, so plan accordingly. Machu Picchu has two sectors of roughly equal size, the Agricultural Sector and the Urban Sector. Although the main attractions of Machu Picchu are spread out across the site, the good concentration of them are found in the Urban Sector.